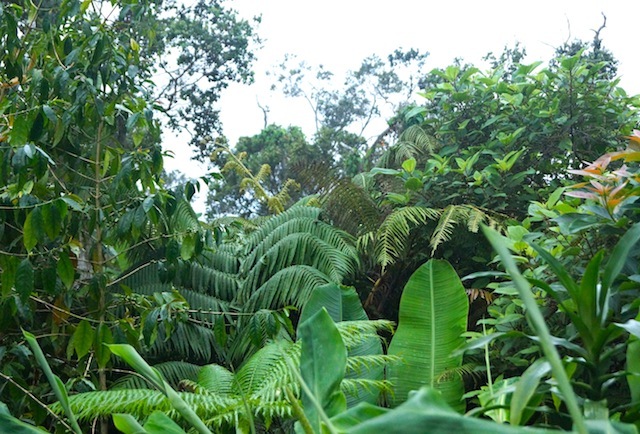 Ever heard of a Cloud Forest? How about a Peaberry bean? Or the Kona Belt? Visiting the award winning, certified organic Mountain Thunder Kona Coffee farm, was on my list of things I wanted to do when we were in Kona, Hawaii earlier this month. It was the only thing on my list however, that I knew would be — dare I say it — boring for my kids and husband. It was hard to tear myself out of the warm ocean where I was swimming with sea turtles and my sons, but on the very last morning, I made the journey into the mountain. The drive was gorgeous, and as I drove higher and higher above sea level, the sky became whiter, and the air cooler. When I finally spotted the Mountain Thunder sign on the side of the road, I was beneath a sky full of clouds somewhere in the Kona Coffee Belt — an area that extends approximately 2 miles wide and 20 miles north and south. The only coffee in the world that can be called 100% Kona coffee, is grown here. 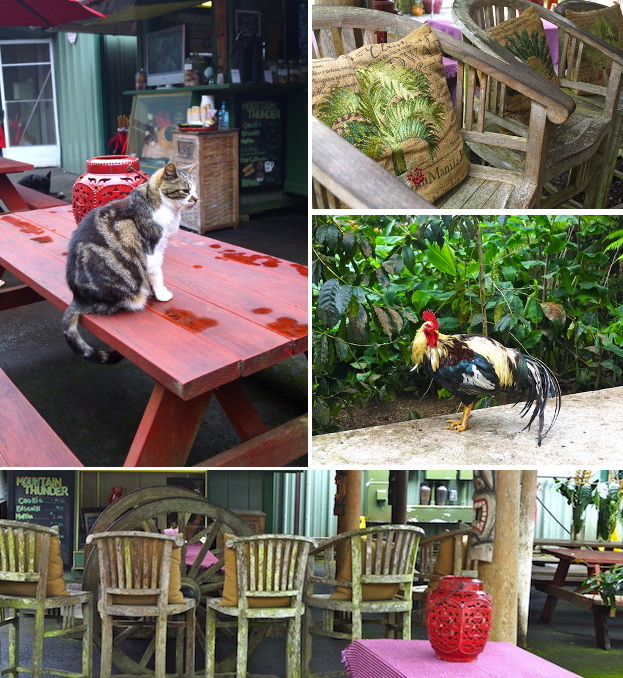 I entered a very rustic and charming seating area with a coffee bar, surrounded by coffee trees, random animals walking around, and the most incredible scent of roasting coffee. Almost immediately, I was handed a cup of delicious hot Kona coffee (go figure) by a delightful tour guide. This place was truly lovely. The first stop on my tour was in front of an Aribica coffee tree. It was full of unripe cherries — yes cherries! Coffee seeds (which we refer to as beans — mostly because of their appearance), come from a cherry. Typically there are two beans per cherry, which is why one side of the bean is flat. Sometimes, though rarely, the two beans mutate together to form one bean — this is a very special find, as it’s the prized Peaberry. Since there’s only one bean, it’s round and contains all of the juice from the fruit, ultimately creating a more concentrated, superior flavor. 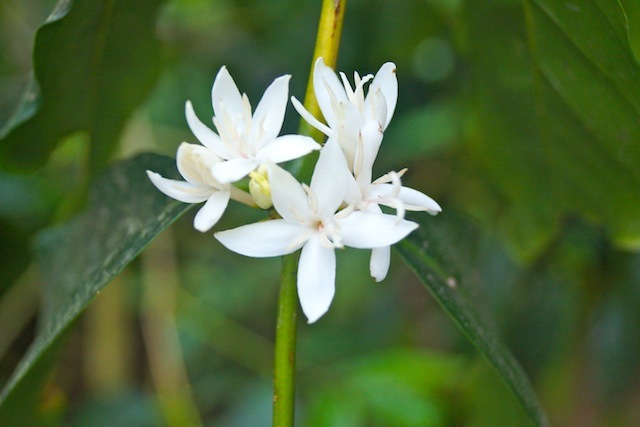 Ever seen a coffee flower? 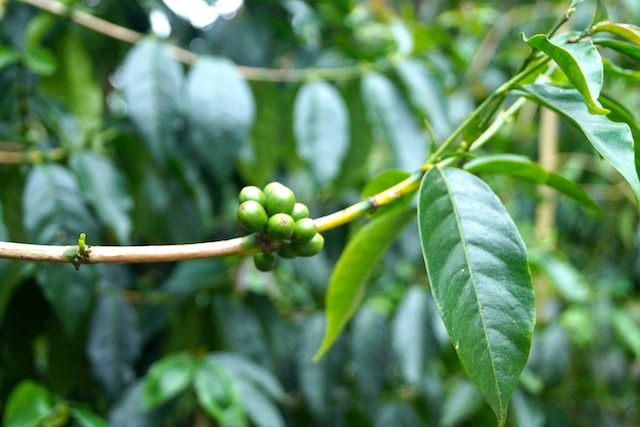 Some super cool coffee facts . . . .
Each Kona coffee tree produces around 15 pounds of fruit per year. Seven pounds of Kona coffee cherries only equals about one pound of coffee beans. Every Kona coffee cherry is hand picked. Every one! Though weaker in taste, American Roast coffee has the most caffeine. Vienna Roast, which is slightly stronger in taste, has less caffeine, and French Roast, the boldest and strongest tasting coffee, has the least amount of caffeine (of the three). So ironically, the stronger the coffee, the less the caffeine. 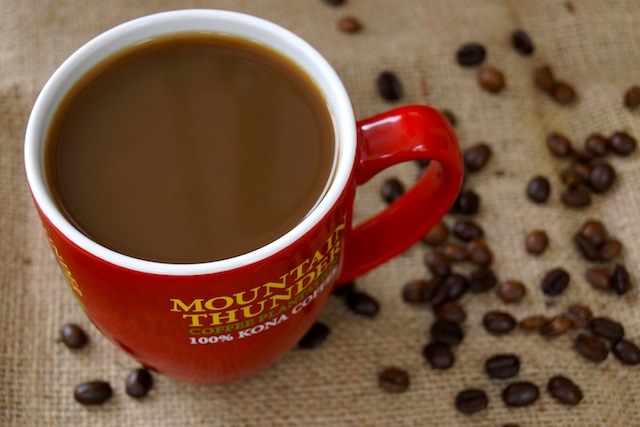 Why does Kona coffee taste SO good? It’s mainly because of its low acidity content, which is a result of the weather. The Kona Coffee Belt is surround by mountains, and gets very little sun, only about one hour a day. This is called a Cloud Forest, which is one step away from a rain forest. 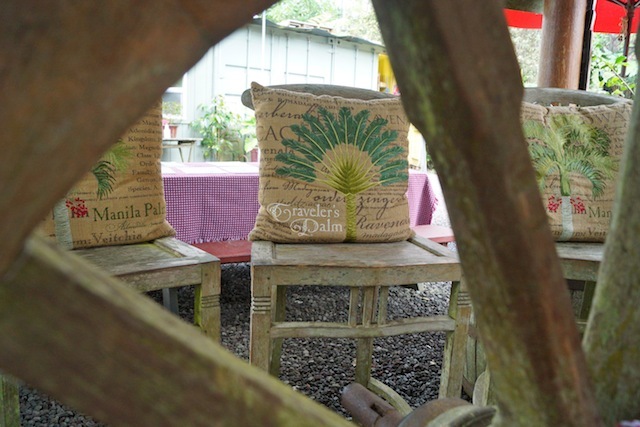 The weather, combined with the volcanic soil is a recipe for growing the best tasting coffee. The beans arrive to this area after they’ve been through a wet mill up the road, and then sun-dried. The beans are then sorted by size, color and weight. 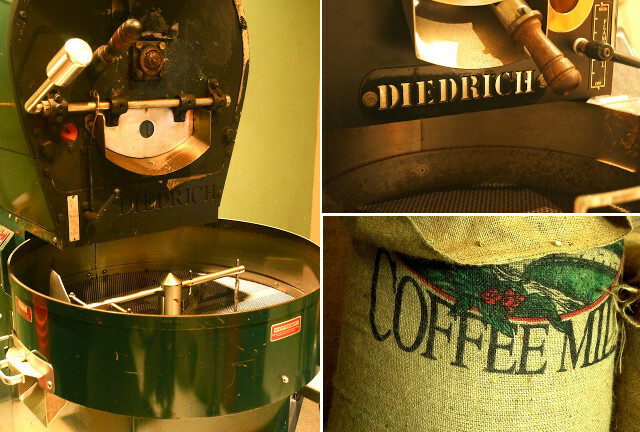 How would you like to have a 1,500 pound bag of 100% Kona coffee beans? You can’t visit a farm like this and not go in the funky gift shop. You just can’t. And now for the best part. . . .
Mountain Thunder did not sponsor this post — as always I write about things I love. 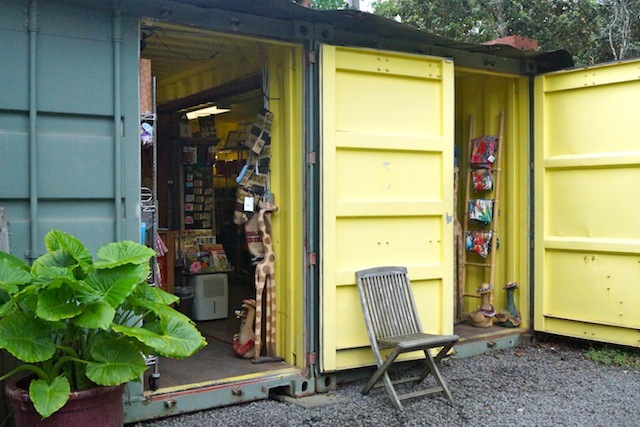 I LOVE this coffee, and if you’re ever on the Big Island in Kona, it’s well worth a trip up the mountain. I did a similar tour when in Hawaii. It was just fascinating. But I did overdose on chocolate covered coffee beans while there. 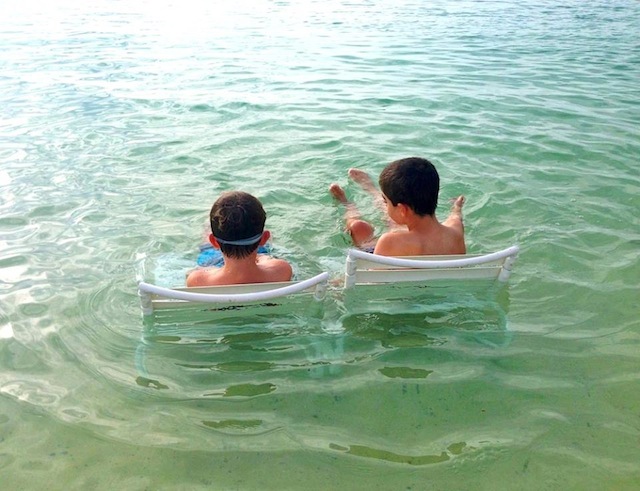 boy backs in the beach chairs! What beautiful pictures that tell a complete story without having to utter a word. Lovely! I felt the same way with Colombian coffee. 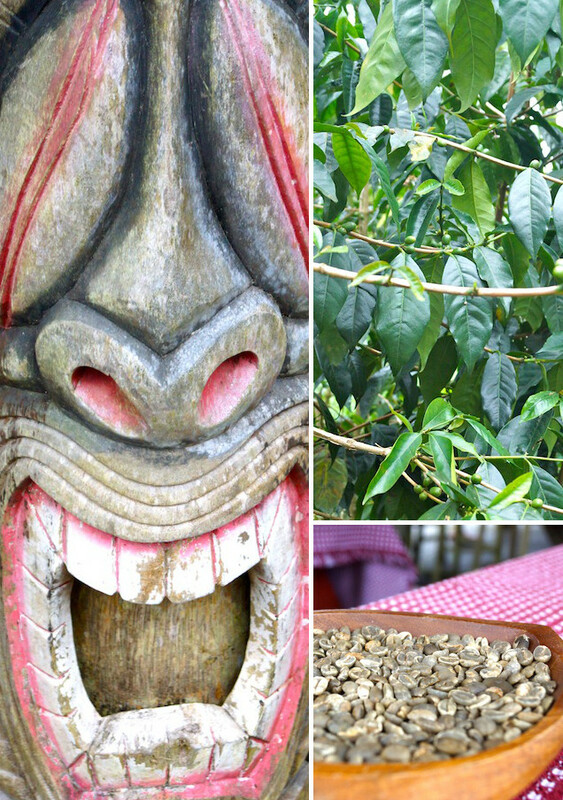 It is so much fun to see how coffee grows and the great taste on the plantation. Dogs and roosters seems to be standards on coffee plantations. What fun. This makes me wish I drank or even liked coffee! What a beautiful experience! Thanks, David! Yes, it was lovely! 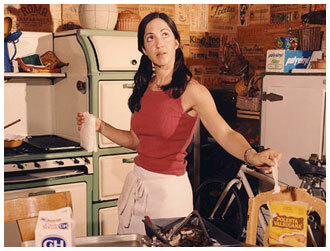 I have a cousin who lives in Kona, and I’ve never been there! Wow, this has really motivated me to go, and to see a vanilla farm too!